We’re all aware of them (and I say that at the end of the week when Charlie Sheen has for all intents and purposes gone off the deep end; who knows by the time you’re reading this, he may be an uber-celebrity or you may be asking “Isn’t that like saying Britney’s gone crazy or Lindsey’s got arrest?”—it’s a bit ubiquitous). For many of us—sometimes directly, sometimes indirectly—we experience these moments of popular culture “history-in-the-making” that we in some part internalize or feel to be a part of us. We mourn the passing of a celebrity, attend a major film on opening night, attend ritual event that grants us access into a particular event, or are witness/participant to some other event. Some of these events become over amplified through media outlets while others stay upon the fringe but still captivate fans. Ultimately, these moments are part of our individual narratives, yet also shared with many others. These moments are as numerous and diverse as there are staked interests and entertainments. Certainly in my 31+ years, there have been ample deaths: Kurt Cobain, River Phoenix, Princess Di, Michael Jackson, Gianni Versace, and Walter Kronkite to name a few (And yes, Wikipedia has this one covered). However, in my own popular cultured life, these weren’t as prominent. 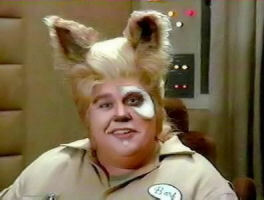 The first real celebrity death to hit me was John Candy. His death hit home for me since I grew up deeply enjoying his movies (memorized significant portions of both Spaceballs and The Great Outdoors). His death meant that this giant gentle of a man would no longer bring smiles to my face as he had for much of the 1980s and 1990s. Chris Farrelly hit me in a similar way too. The most recent celebrity to leave an impact was Gary Coleman whom I enjoyed a good deal during the 1980s in Diff’rent Strokes. Besides Coleman’s illness and the fact that he had become a punching bag for lame-jokes about child-actors, it just struck me that Coleman was a part of my childhood range of familiar faces that separate me from those who grew up in the 1990s or even those who grew up in the 1970s; they each had their own range of contemporary characters to access. 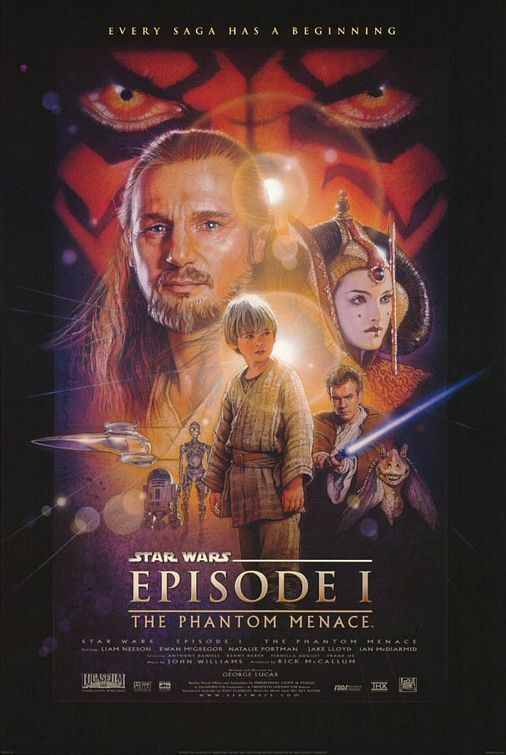 Another major event for me was getting to see an advance showing of Star Wars Episode I: The Phantom Menace. Now, regardless of how people feel about it now, in 1999; the anticipation was palpable. After all, in the previous years, Lucas had stoked our fires with re-release of the videos shortly after he re-released them in the theaters with added scenes. 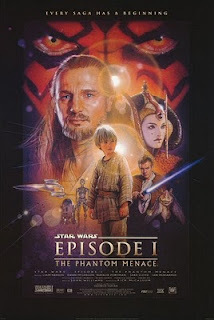 As an avid Star Wars fan who had watched his videos to the point of wearing out the video cassettes and up to that point had read all the books that had been written (15 or so) taking place in the Star Wars universe, this was epic. Though I passed on dressing up to attend, it certainly crossed my mind. Napster was also a major popular culture event for me. We’re still feeling the effects of it today. In the late 1990s and early 2000s, downloading music en masse as Napster allowed us to was pretty fantastic. But it was also a collective group from certain ages and places. College students were a major part of it (in part thanks to colleges with their T-1000 connections). We gained access to mountains of music and could combine and manipulate the music in whatever way we wanted. I used to spend hours creating my mixed tapes; now it took minutes to download and a very short time to compose. I also was one of the earlier people to have an “mp3 player”, well before there was an iPod. It had 16 megabytes (and my second one had 32MB) and could contain 5-8 songs depending on what I put on there. But there was an excitement of discussion about Napster and other programs (my favorite was Audiogalaxy Satellite) and what would happen to them with Napster in court. There was a frenzy to download with abandon before it ended. In fact, nerd that I was, I was downloading more audiobooks than music by that point since others got it in their head to make mp3 audiobooks available. 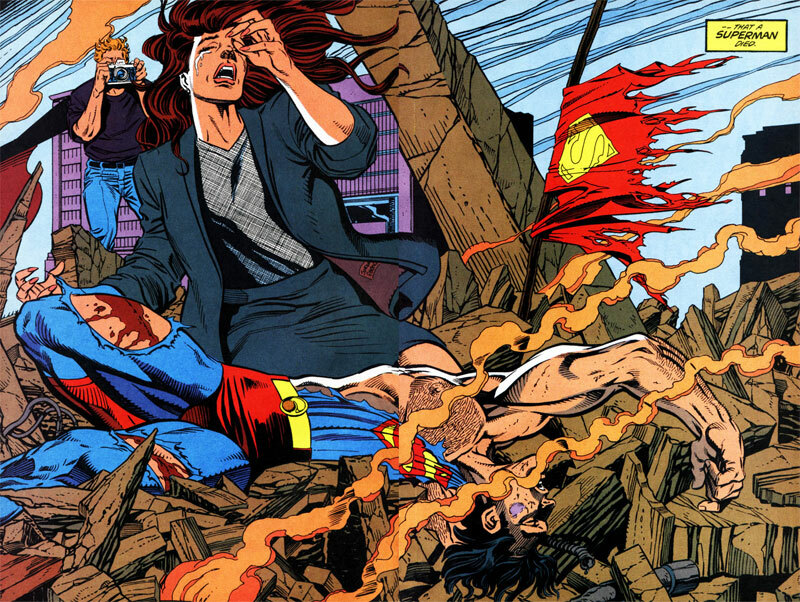 And there was of course the “Death of Superman” in the 1990s. Of course, he wasn’t really dead; it was a complete marketing tool, but that didn’t stop me and a good deal of fellow comic fans from buying the issue in its poly-urethane baggy (2 copies: 1 to open; 1 to keep because it was gonna be worth something—like 10% more than what you paid for it, ha!). That talk about his death, who was going to replace him (there were at least 4 contenders), and being the one “in the know” at the school when others were interested because it had been announced on the news. 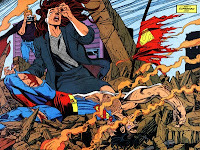 It was indeed momentous for someone like me where my knowledge and experience made me a resource for others (granted, I didn’t actually read Superman or any DC Comics at the time, but that only meant I directed discussions to the comics I thought were cool). Thus, my interest in it became the means of how others perceived me which became my badge or sense of empower and pushed me deeper into comics. These moments of popular culture can form or at least influence us, propel us in interesting directions or even create an outward appearance that we are part of a particular group or knowledgeable about a certain arena of popular culture (hence why I get to teach courses on monsters and comics). What about you and your moments of pop culture? What events have you witnessed that left an impact on you and how? In answering look for moments that others haven’t talked about as well as choose moments that you actually had a stake in—don’t’ just name them to name them. What moments have moved you? A series ending? A particular sporting event? Your generational equivalent to Woodstock (if such could actually be realized)? In my twenty-one years of living there has been many events in popular culture that have happened, some have affected me and others not so much. There is however there are a few events that have had a lot of impact on me, and they were when the Boston Red Sox Won the world series in 2004 and the pats winning the super bowl. I know that everyone says that the red sox winning was the biggest moment in there lives but it is always going to be a tome that I will remember watching games year after year with my dad hoping they would win. Also when the Pats won the supper bowl three times, is an important part of popular culture for me. As a kid growing watching sports has been something that my dad and I enjoyed doing together, as I get older and he gets older it will be the memory of watching the games that came down to the last seconds or the last out. I have been to many concerts and sporting events with friends throughout the years but when it comes down to it one day and im telling my kids about their grand father those are going to be the memories I want them to know the events in popular culture that has impacted me and the time I have spent with my dad. Living in the 21st century and the "new millennium", it is amazing to see the events that took part in my lifetime. I always have discussions with my friends about how we've seen everything from boy-bands taking over the music industry and then - going away, to the Sox winning the World Series, and then seeing terrorist attack on our country. It's weird and amazing to think about because whether the event is a positive one such as the Sox, or has negative impact such as witnessing the World Trade Centers crumble to the ground on live television, you somehow always seem to remember exactly where you were when it happened. You remember who you were with, what you were doing, and you remember the reactions of the people around you. You begin to realize at that very moment that you have just capture a piece of history, and you then take it and it stays with you for your entire life. You also remember the feeling that ravaged through your body as you were caught up in the moments of these amazing events in our history, as well as how they were portrayed through the eyes of media. They have become MY popular culture, and remembering a somewhat of a time line of events, has shaped the way I see the world in 2011. I could not agree more with this post. It is so common in today's society to identify with a certain celebrity. For a celebrity-gossip "addict" like myself, this is especially true. I know so much about these people'e lives that it feels like I in deed know them. There have been deaths in the celebrity world that happen that effect the world dramatically, such as of course Micheal Jackson, John Lennon, Anna Nicole Smith, Heath Ledger, Farrah Faucet, or Patrick Swayze. And just like ther person above me previously commented, for alot of these I remember where I was when I first heard about these. For example I was packing for a camping trip when I heard about Micheal Jackson's death and I was having lunch with my mother at "Montes" when I heard about Anna Nicole Smith. We feel like we know these people personally so of course their death effects us in ways that it probably shouldn't. Maybe this is "normal" but it is reality and it is how today's world is for most people.